Our quest is to create a superior line of sports nutrition products that are safe, free of banned substances, and formulated, tested and certified under the most stringent conditions in the marketplace today. We are proud to say that at MusclePharm, we don't just make and sell the products, we live the lifestyle. 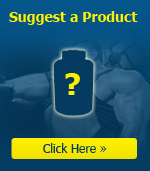 MusclePharm is our daily routine. We train in the state-of-the-art performance facility I built to test and perfect our products using real-world scenarios. We see MusclePharm results in our own lives along with those of the professional athletes that use and endorse our products. 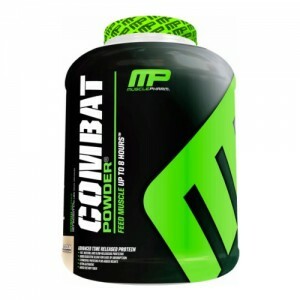 MusclePharm - Combat Powder Time Release Protein 4lb + Free Shaker! 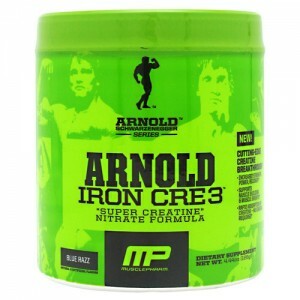 To maximize muscle growth and ensure proper protein utilization, MusclePharm scien..
Iron Cre3 - Arnold Schwarzenegger Series Product Details: ..